This fine picture was taken off my television with my old cell phone. 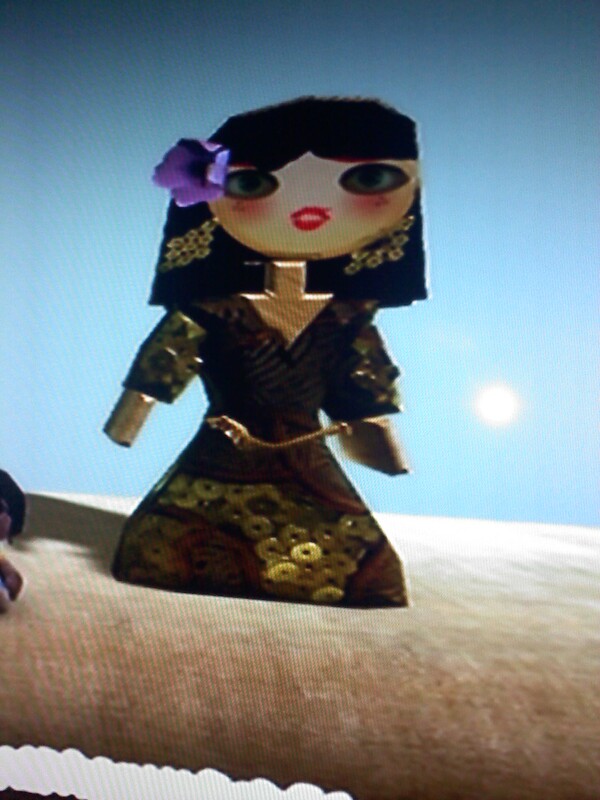 It is Esmeralda that I made in LittleBigPlanet for a level I was creativing based on the Hunchback of Notre Dame. I made all the characters but I never made the level. This was before I started blogging so it was a while ago. Should I go back and make a Hunchback level for LittleBigPlanet. Although I have no idea what Little Big Planet is, anything that lets you create NDDP characters and an NDDP world is awesome!